Kaisar-i-Hind - meherbabatravels jimdo page! 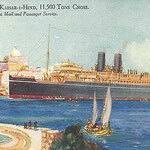 Meher Baba and his men mandali sailed from Shanghai, China on this ship on the 28th June 1932 at 4PM for Bombay, India. They landed in Hong Kong at 7AM, July 1st. 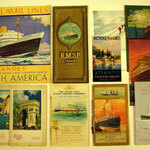 They sailed to Kowloon that night arriving the next day. Later that day they left for Singapore arriving at 7AM on the 6th July. 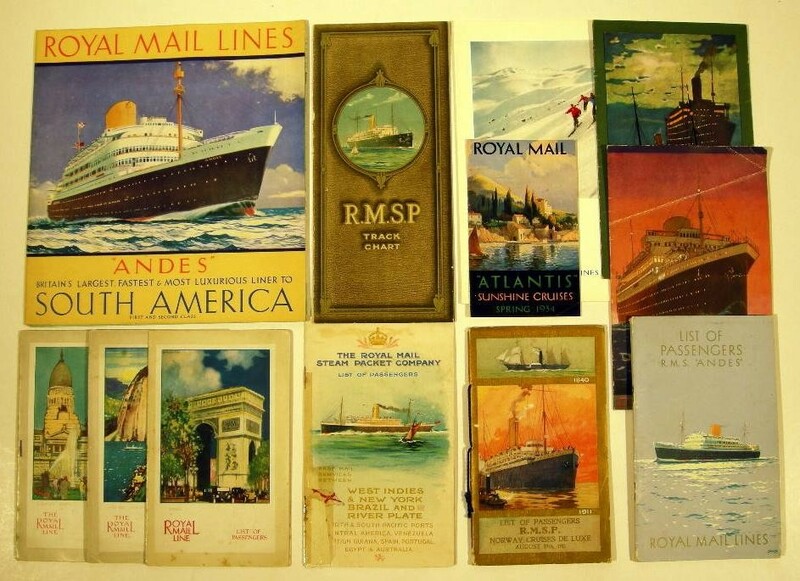 They left the following day for Penang in Malaysia, docking on the 9th July. Soon they set off again and arrived in Colombo, Ceylon ( Sri Lanka ) at 8AM on the 13th July. 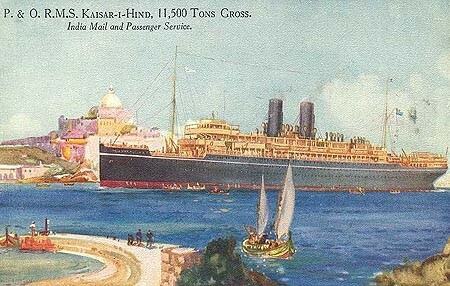 Two days later the ship arrived at Bombay at 11:45PM on Friday the 15th July. Baba leaves Bombay on the 18th for Marseilles, France. 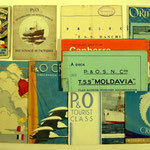 They arrived on the 29th July 1932. After staying for three days in Nanking, Baba entrained for Shanghai at 11 P.M. 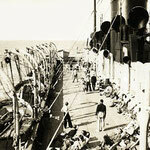 They arrived at eight in the morning and left at 4 P.M. for Bombay on the S. S. Kaiser-i-Hind on June 28th. Herbert Davy left for Dairen six days later on his way to Russia. BABA LANDED in Hong Kong at 7 A.M. on July 1st and was met by a Parsi named Rustom E. Desai. Baba and the mandali went to his house, where Desai and his wife had prepared Indian dishes. After they ate, they all went out to see the city. They went to the Queen Theater in the evening to see the film Skin Deep. After the movie, Baba and the mandali returned to their ship. They landed in Kowloon the next day. Met there by Rustom S. Pestonji, a friend of Mr. Desai's in Hong Kong, Baba and the mandali were taken to Pestonji's house. After an hour's drive around the town, they returned to the Kaiser-i-Hind and continued their voyage. They arrived in Singapore at 7 A.M. on July 6th. After driving around the city in a taxi, they went to see the movie Dr. Jekyll and Mr. Hyde at the Capital cinema. 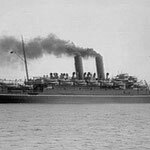 Then they had dinner at the Madras Cafe and returned to the ship at 11 P.M.
A second day was spent in Singapore and they left for Colombo in Sri Lanka on July 8th. They docked at Penang on July 9th, where Baba got off and visited two shrines – the Buddha and Snake temples. 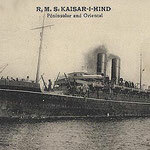 Baba and the mandali arrived in Colombo, the capital of Ceylon, at 8 A.M. on July 13th, where they got off and sent a telegram to Adi K. Irani and Naoroji Dadachanji in Bombay. In Colombo, they drove around the city in a taxi. After two days at sea, Baba and the mandali landed in Bombay at 11:45 P.M. on Friday, July 15th, 1932. Baba, Chanji, Kaka, Gustadji and Adi Jr. went to Naoroji Dadachanji's house at Rustom Baug, Byculla, while brother Jal, Beheram and Pendu spent the night on the ship. As scheduled, Baba then resumed his voyage. 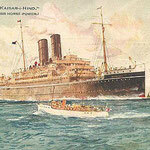 He left Bombay on Monday, July 18th, 1932, sailing for Marseilles, France, on the Kaiser-i-Hind. He was accompanied this time only by Kaka Baria and Chanji. For the mandali, travelling with Baba through Europe, America and the Orient had been at a hectic pace – almost at a whirlwind speed. Baba had been on a tour around the world for the past four months and now he was once more off to Europe! 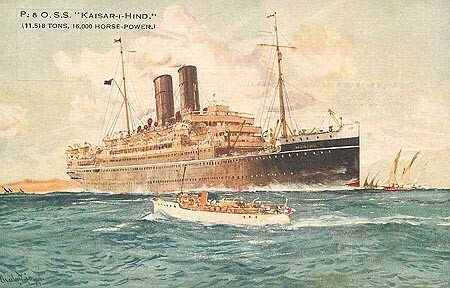 After eleven days at sea, the Kaiser-i-Hind arrived in Marseilles on July 29th. Baba was met by Kitty Davy and her brother Herbert, who had come from China via Russia. The next day, much to Quentin Tod's surprise, Baba arrived earlier than scheduled by train in Santa Margherita, located along the Italian Riviera coast. Between the towns of Santa Margherita and Paraggi, Tod had rented a separate villa for Baba and the mandali named Fiorenza, which Baba liked very much. 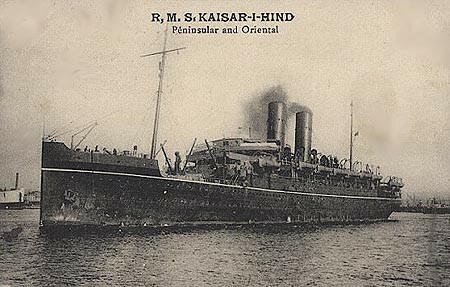 The passenger liner KAISAR-I-HIND was built in 1914 by Caird & Co. of Greenock for the Bombay service of the Peninsular & Oriental Steam Navigation Co., she being the second successive ship of the company to bear her name, which derives from the Sanskrit for ‘Empress of India’. 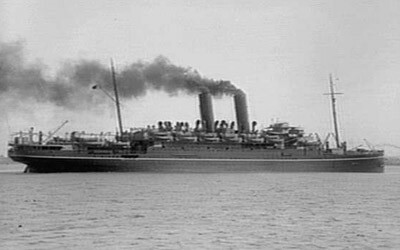 During the First World War she survived no fewer than five attacks by submarine torpedo, one of which actually struck her but failed to explode and, following a brief charter to the Cunard Line in 1921 under the name EMPEROR OF INDIA, she returned to P. & O. service until 1938, when she was sold for breaking up at Blyth. 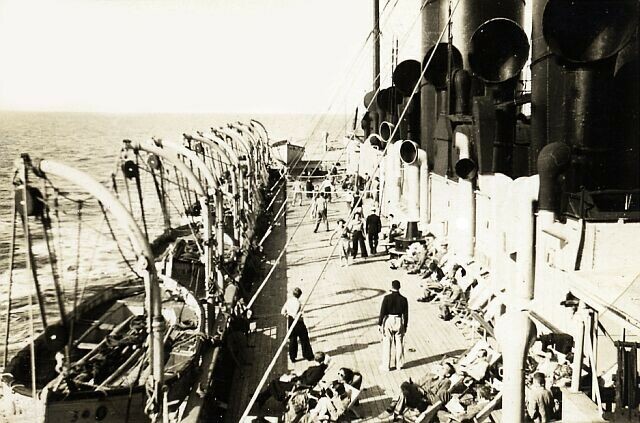 Interior of the passenger/cargo liner 'Kaisar-i-Hind' (1914) showing the First Class Dining Saloon, on the Upper Deck; a view from the starboard side, looking forward and showing the oval well above the central area. An organ is visible in the background. 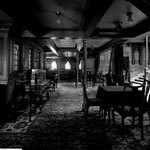 The main public rooms on the 'Kaisar-i-Hind' were designed by the Arts and Crafts architect Thomas Edward Collcutt (1840-1924). 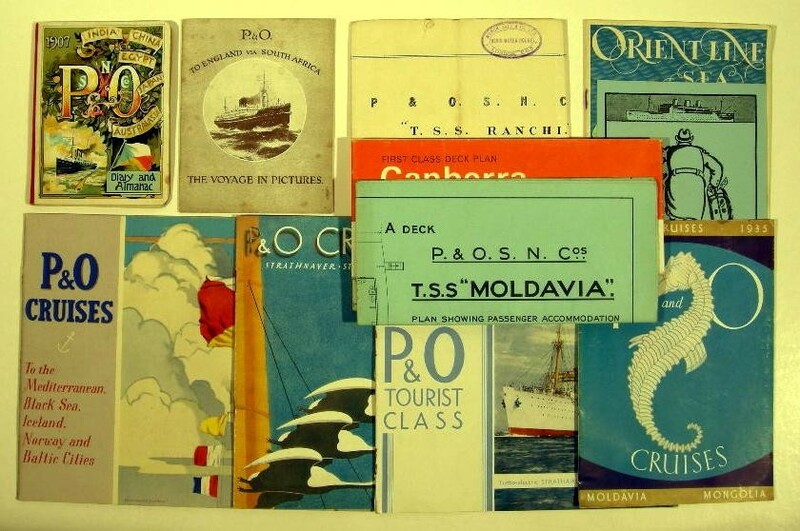 Collcutt was a regular choice as architect for P&O in this period. 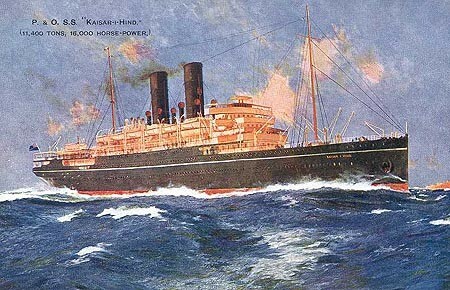 In addition to this work on ships, he designed the company’s headquarters in Leadenhall Street, London, and the P&O pavilions for the Royal Naval Exhibition in 1891, and the Paris International Exhibition in 1900.
nterior of the passenger/cargo liner 'Kaisar-i-Hind' (1914) showing the First Class Music Room, on the Hurricane Deck; a view looking aft, showing the balustrade around the oval well, and the glass dome above. 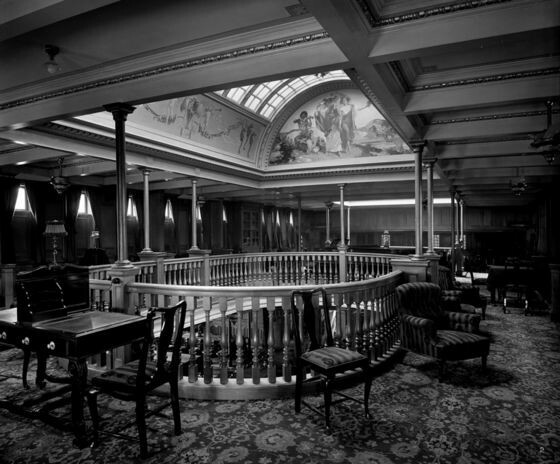 A grand piano and library cabinets are visible in the background. 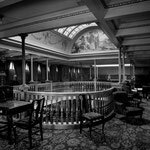 The First Class Music Room was panelled in oak, and the murals around the dome were painted by Gerald Moira (1867-1959). In this photograph can be seen one of the end panels with figures celebrating the arrival of spring. Part of the side panel decorated with seahorses and putti playing the trumpet is also visible. The mural is signed and dated in the left corner. The cornice below is inscribed: 'THE JOYOUS MUSIC OF THE LIVING GRASS AND AIR'. 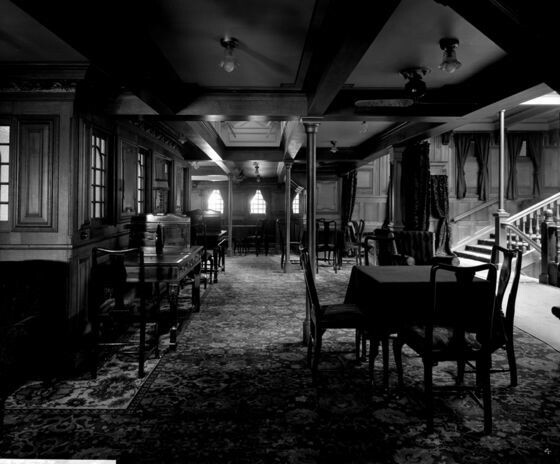 nterior of the passenger/cargo liner 'Kaisar-i-Hind' (1914) showing the oak-panelled First Class Smoking Room, on the Promenade Deck (a view looking across to the port side and showing the glass dome). Some aspects of the design were derived from the interior of the church of St Lawrence Jewry, London. One of the panels painted by Gerald Moira (1867-1959) is visible; it is signed and dated in the left corner. 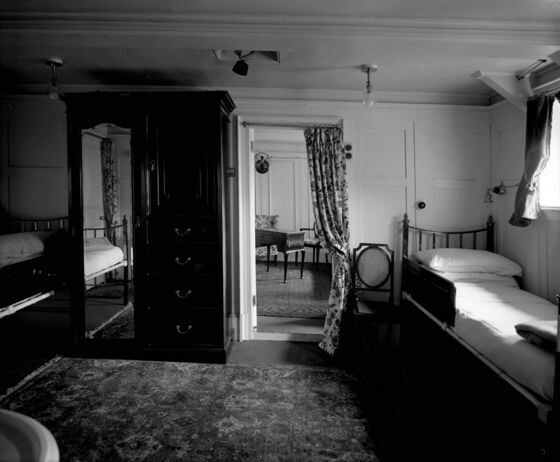 Cabin interior on the passenger/cargo liner 'Kaisar-i-Hind' (1914) showing the bedroom in the First Class suite de luxe, on the starboard side of the Upper Deck. 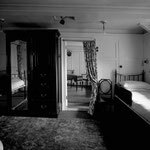 A view looking forward through the connecting doorway into the sitting room.